Have been in love with Arabian Horses since childhood growing up in Western New York State. I rode and showed Quarter horses and then Arabians in Erie County, NY. Attended my first Scottsdale Arabian Horse Show In 1974. I was hooked and never looked back. Working and training my horses, I have discovered that Arabians are a mirror and pathway to your Soul. They have helped me to learn, to heal, to be happy, and have so greatly added to my Life. In 1983 I moved to California settling in Half Moon Bay while working in Silicon Valley. In late 2001 I visited Durham and noticed how similar it was to the community I grew up in and decided to make it my new home. The last ten years I have been developing the ranch and my small herd. We seek a conservative approach to breeding only a few mares creating fine Arabians suitable for performance in multiple disciplines, that will remain sound through their lifetimes. Sterling Creek Ranch was established in 2007, moving to a larger country location just outside Durham, CA. I am passionate about showing, breeding and raising Arabian horses, and also have a small herd of registered Peruvian Suri Alpacas. I enjoy training horses to be safe and suitable companions for anyone. I enjoy showing in Halter, and ride English Hunter Seat and Western competing in Community schooling shows and some of the Region III Arabian Horse Association schedule. I can often be found riding in the mountains above where I live as well as summer trips to Northern California and Nevada. Love the annual Scottsdale Arabian show which I have attended for many years. This show is one largest Arabian show in the USA and the level of competition is superb. Really looking forward to seeing all my friends at West World in February! 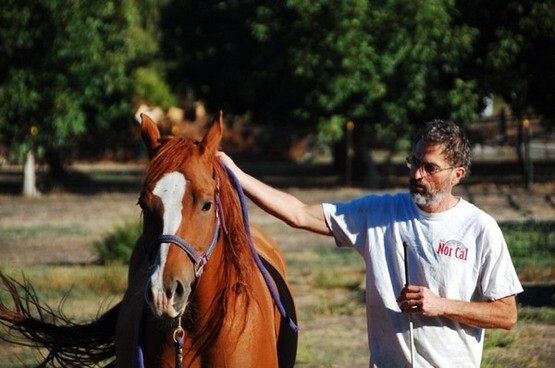 I am a member of Arabian Horse Association, and a board member with the Cal-Norte Arabian Horse club within AHA. Within this effort I seek to lower the threshold of access to new people, especially young people, interested in owning, caring for and showing Arabians. Its the kids and youth riders that are the key to our success moving forward. Of all equine breeds, you will discover that your Arabian can do anything and excel in many disciplines all the while creating a Lifelong Partnership that will truly touch your Soul. There is an Arabian horse for you and it will change your Life. Let us show you the path!